Through the cultural poverty and frustration of the 1960s London underclass, Len relentlessly seeks a feeling of genuine belonging in the unrequited love of a promiscuous young woman and her dysfunctional family. His refusal to give up the search, and the silent poetry of the final scene, led Bond to describe Saved as "almost irresponsibly optimistic". Initially refused a public performance licence in 1965, Edward Bond's controversial and disturbing play is now recognised as one of the most important works in the English language of the twentieth century. 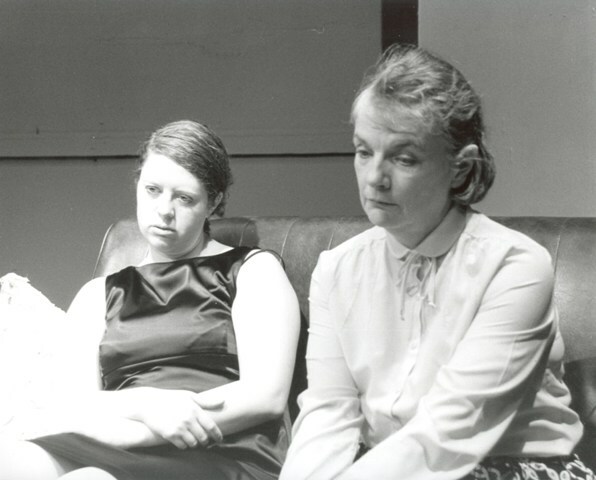 'Saved' is an intense masterpiece of social drama: human, poetic and with subtle shades of light and dark, its pedigree is that of John Osborne, Arnold Wesker and the pinnacle of British "New Wave" theatre. 'Saved' is not a play for children but it is for grown-ups, and the grown-ups of this country should have the courage to look at it." Sir Laurence Olivier. Please note: This production contains scenes of a disturbing nature and is suitable only for those aged 15 and over. Edward Bond, playwright, theatre director, poet, theorist and screenwriter, is the author of over fifty plays and was instrumental in the abolition of UK theatre censorship. Bond has always been highly controversial because of the violence shown in some of his plays and the radicalism of his statements about modern theatre and society. Evacuated as a child during WWII, on returning he was exposed to the worst of the blitz and this early exposure to the violence and terror of war probably shaped themes in his work. His experience of the evacuation gave him awareness for strangeness in social life which will remain typical of his writing. Edward Bond was born in Holloway, North London in 1934 and educated in state schools until the age of 14. During the Second World War he was evacuated to East Anglia to stay with his grandparents. He later served the obligatory 2 years National Service. 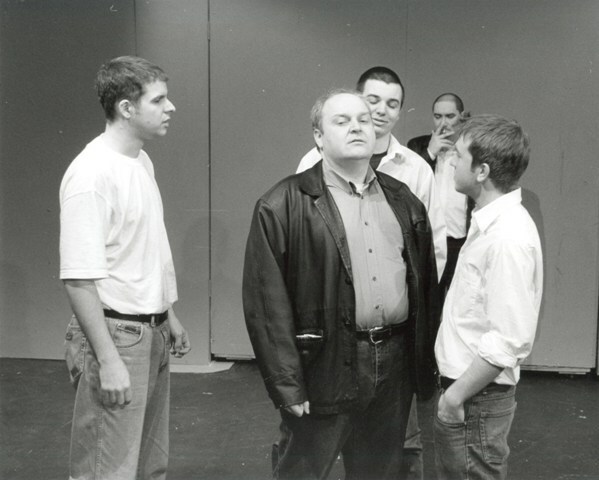 He was working in a factory when he became a member of the Writers' Group at the Royal Court Theatre. His first plays, 'The Pope's Wedding' (1962) and 'Saved' (1965), were staged at the Royal Court Theatre. His emergence as a writer coincided with what is known as the New Wave of British Theatre, which arguably was catalysed by John Osborne's 'Look Back in Anger' in 1956, and Bond is often mentioned in the same breath as Osborne, Arnold Wesker and Harold Pinter, and his success, like that of his peers, owes a lot to the dedication to nurturing new talent by the English Stage Company at the Royal Court. Bond's other plays include 'Narrow Road to the Deep North', 'The Bundle', 'Early Morning', 'Lear', 'Bingo', 'The Fool', 'The Woman' and 'Restoration'. Bond - initially at least - had not been the darling of the critics, and was ignored by the masses. Censorship closed several of his plays ('Saved', 'Early Morning') after a couple of performances; they were judged to be too violent, shocking and immoral. Though highly controversial, Bond has always had supporters in high places; such as director William Gaskill of the English Stage Company who has always been committed to his plays. The critics and the public reversed their position on Bond after a revival of 'Early Morning' less than a year after its original production in 1968. Bond is now considered to be one of the major living English playwrights. Despite this, the 'difficult' reputation which dogs both the man and his plays means he is rarely performed today. Bond is still writing and still politically engaged. Often he provides the introduction to his own published plays, and these polemical pieces clearly show the author's political and social standpoint, though they rarely provide a direct insight into his writing. The plays, we must assume he believes, speak for themselves. Violence has always been a tool for Edward Bond through which he criticises society, but it has never been an end in itself. In his preface to Lear he writes, "The question of the play is why is it that violence is licensed by society, but only on a political level. When the same thing happens on an individual level, then it's absolutely disgraceful." 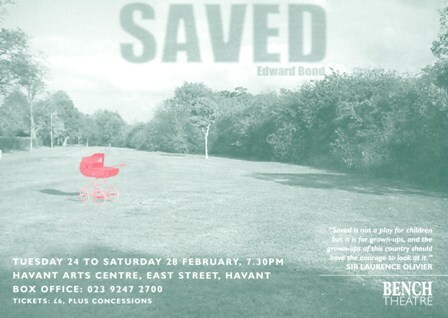 'Saved' is Edward Bond's second play, written when he was 31. 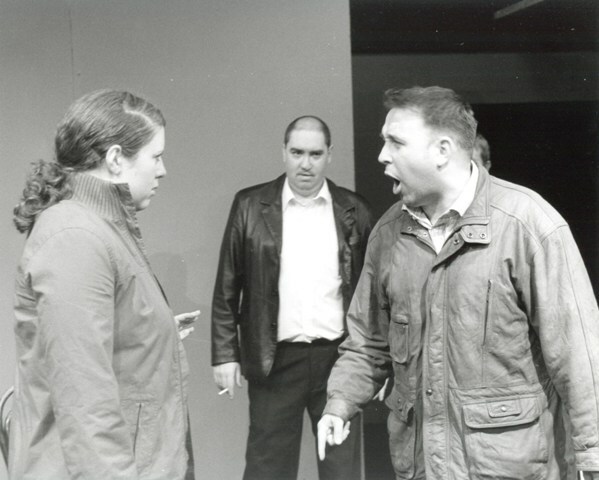 It was first staged by the English Stage Company in 1965, with Ronald Pickup and Dennis Waterman among the cast. The play was initially refused a public performance licence (required, at the time, from the Lord Chamberlain's Office). The Royal Court exploited a loop-hole in the law which allowed plays to be performed before an invited audiences of "members" rather than the general public. Therefore the Royal Court turned itself temporarily into a club theatre and Saved was performed. Immediately the play divided the critics, but subsequent opinion hold that it is considered a very important play and has been the inspiration for many future writers. In 1968, the Lord Chamberlain's powers of censorship were formally abolished, and a licence was no longer necessary but 'Saved' is rarely performed today. It is however, still a play of great power, and established the reputation of one of Britain's greatest living playwrights. 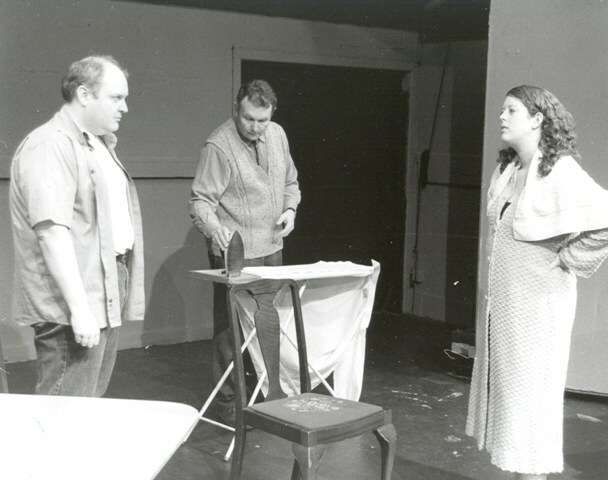 In a 1998 survey among playwrights, actors, directors and other theatre professionals 'Saved' was considered to be the 11th most important play of the 20th Century. 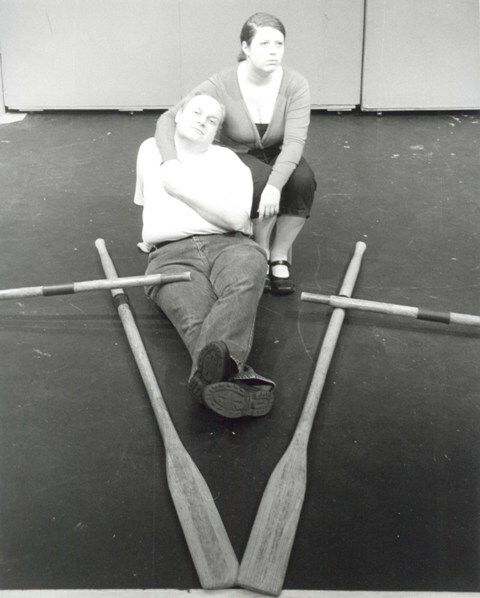 This play was staged at Havant Arts Centre, East Street Havant - Bench Theatre's home since 1977. It is a very long process for me from first getting excited about a play and then pitching it to the membership, and the ideas I have on first reading of a play evolve and adapt over time and over rehearsals, especially as the actors bring so much to the play. It is almost a year since I first put down my thoughts about 'Saved', and was myself quite interested to see how much those initial thoughts had changed by now. So here, I suppose, is a "Before and After" of a director's brain, from first pitch to final production. Central to the difficulties with the play are issues of morality. The majority of the characters seem to have no sense of right or wrong, no sense of respect for their fellow man, woman or child. 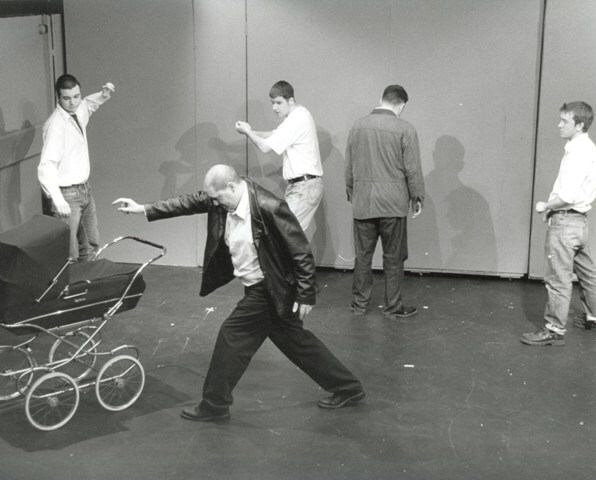 This amorality is demonstrated in the play in a number of key scenes, through the bigoted dialogue of the lads, the seemingly complete absence of a maternal instinct in Pam, and most brutally of all, in the coup de theatre, which is the chillingly nonchalant slaughter of a baby in its pram. Despite this, the play itself is acutely moral, allowing the audience to affirm its own morality through the inevitable shock and disgust the play will provoke. 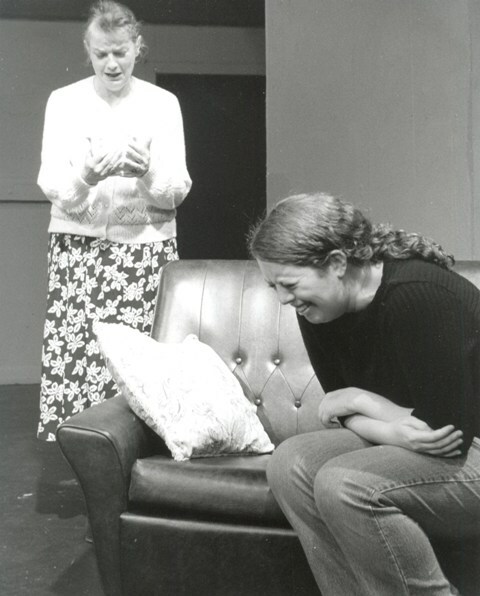 A theme in the play is that goodness does survive, under any circumstances. The characters fight, joke, antagonise and self-destruct with no appreciation of consequence. Products of their economic poverty, this has now extended into a "poverty of culture" (New Statesman). 'Saved' gives us the opportunity to look back at a time still within living memory, compare it to our own, and ask the question "Have we really come as far as we like to think?" Personally, the intense anger that I felt just on reading the play, while not entirely palatable, is such a humanity-reaffirming sensation that I think it should be made available to more people. It is nice to see a play that makes me laugh, makes me forget the miseries of the "real world," but sometimes, just sometimes, I want to see something that arouses such passions within me that I am shaking in my seat. The after-show drink becomes almost medicinal, rather than just luxurious! It is a tribute to the immense talent of Edward Bond that this play keeps on throwing up new ideas and information. At each rehearsal, for each scene, so many options were presented to us that we could have happily rehearsed for another three months and, at the end of it, still not have discovered everything that Saved has to offer. It is a play of great subtlety and, in spite of the extreme acts that occur over its thirteen scenes, is understated in a typically British fashion. This is something of which Bond himself was acutely aware, and his contention that the death of a single child in a park is a "negligible atrocity" seems at first to be deliberately provocative. 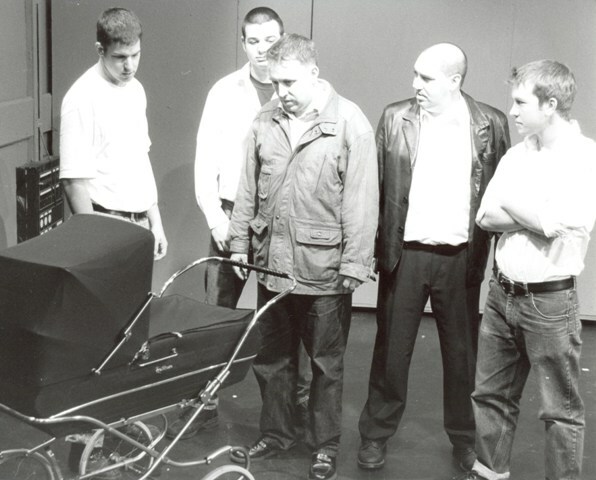 Unfortunately, nearly forty years after the play was first written, there have been far too many real-life instances of infanticide which have shocked, angered and outraged our collective sense of morality, and which are still fresh in our memory, and these cases may well cause us to view Saved with the same indignation and contempt as its original audience. But to judge the play on the evidence of a single, albeit key scene is to fall prey to the reactionary tendencies of so much of the modern world. It is perhaps inevitable that the play will always be defined and condemned by its own depiction, but this takes away from the larger political and social arguments that I believe Bond is presenting. The death of the child is, indeed, a negligible atrocity, when compared to the state-sanctioned genocide of warfare, and Bond is keen to remind us of the fact by giving Mary and Harry a boy who was killed by a bomb in a park during the war. The anonymity of this child's murderers, and the sheer distance involved in committing the act make it much more sinister and unnecessary, particularly when governments, even in recent times, seem to talk about the deaths of civilians as though they are the eggs you have to break when making an omelette, as the saying goes. But for me, the play became more about the people, not the politics. So often we are reminded that it is stories on a human level that appeal to us, it is the characters that we want to care about, more than the argument. So Saved started to work on a much more human level: it is a play about choices. The characters we see initially have no regard for the consequences of their actions and they suffer because of this. Tragically, there doesn't seem to be much of a learning curve for many of the characters, and they continue to make choices that are destructive to themselves or others, that don't offer positive solutions and seem to be selfishly motivated. It is out of this that Len emerges as the hero, although a flawed one. He is as guilty of rash decisions and actions as everyone else at first, but he makes a conscious choice to "do the right thing", regardless of how this will be perceived by others, despite the ingratitude of those whose lives he has an immediate impact on. It is important for me that Len is not seen as a weak character, a do-gooder who is taken for a ride. He may seem like a victim, easily manipulated, but he is, throughout the play, engaged in an enormous struggle to adhere to a moral code that has apparently been rejected by the rest of the world. To persevere in this way, to consistently do the opposite to what his upbringing, environment and culture might be telling him to do, smacks to me of great strength of character. I wouldn't call him a martyr as such, as I'm not sure he has completely grasped the cause he is fighting for, perhaps he is best described as a tainted saint. Is Saved optimistic? Bond claims "almost irresponsibly" so. It has been a cause for some debate in rehearsal, and it is true that it is difficult to agree wholeheartedly, such is the understated nature of the play's climax and our modern hunger for unambiguous resolution. But I can see why Bond says the play becomes formally a comedy. People survive, sometimes only just, and the existence that the characters resign themselves to is far from ideal, but they do survive. Some of them are even making plans for the future, although whether these plans are to be seen through and even if they are moral remains to be seen. 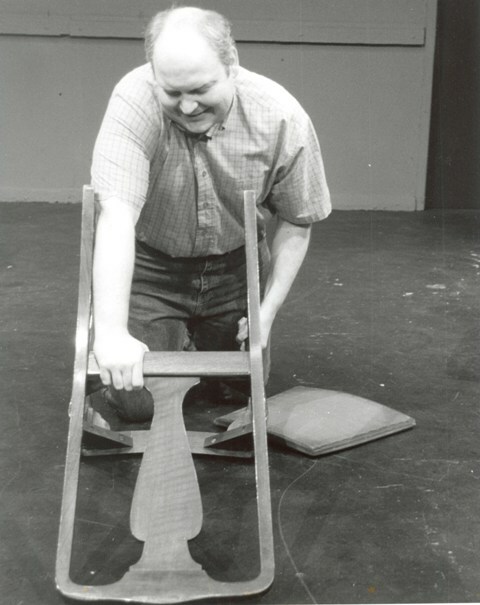 But we are left with the image of someone determined to make something better; Len may not have the necessary skills to do so, but it isn't going to stop him trying, just as it hasn't stopped him throughout the play. The question of optimism is probably one of the things that is hopefully to be discussed after the lights have gone down, and how people come away from this play feeling is very much dependent on the individual's personal standpoint. What has been pleasing and, perhaps, surprising to discover is how much humour resides in the play. The laughter comes from unexpected quarters and at unexpected times, in the least likely of situations. The comedy ranges from coarse jokes and sexual innuendo, through Ealing-esque slapstick and friendly banter. At times it is ironic, you may find yourself laughing at the characters rather than with them, and you may find yourself laughing simply because that is the only thing left to do - the quintessentially English attitude of "You've got to laugh, otherwise you'll cry." A lot of attention has been paid to the variety of tone in the play, the acutely observed language, the complexity of the characters. It has been a richly rewarding experience to work on this play. It is difficult, poses many problems both aesthetic and ideological, and asks many questions of the cast and crew. At every turn it has borne scrutiny, surprised me, terrified me and left me in awe. I sincerely hope it will do the same for you. And if this company has come even close to doing justice to one of the greatest plays of the twentieth century, there is nothing more that I could hope for. Being voted the 20th century's 11th most 'significant' play in the English language does not make Saved the 11th 'best'. It is too loosely constructed for that. But Edward Bond's play is significant in having offered, in 1965, a newly graphic portrayal of the savagery endemic in a social underclass. And its depiction of a careless attitude to killing still resonates today. So the fact that I don't much like the piece is perhaps irrelevant - because I am not sure we are meant to like it. The characters, after all, are not generally endearing, although the relationships do have some subtle shades of grey and there are plenty of laughs. But Nathan Chapman's Bench Theatre production is highly commendable. 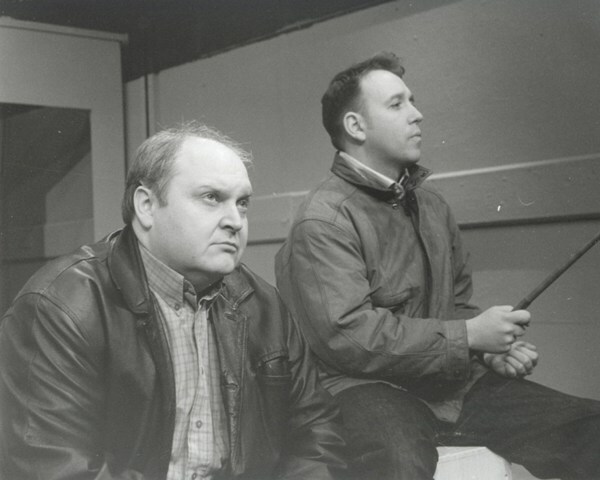 Mark Wakeman as Len and David Penrose as the mostly silent Harry do their best to present human faces to a harsh world. The incomparable Penrose sits centre-stage, pursing and unpursing his lips, looking this way and that, commanding attention without scene-stealing. These characters at least show signs of finally trying to get on positively with their lives, persuading Bond to say his play was "almost irresponsibly optimistic". Hm. Admirable performances also come from Alice Corrigan, Nicola Scadding, Damon Wakelin and particularly Neil Kendall as Fred. He ranges with frightening ease from laddish charm to explosive rage.